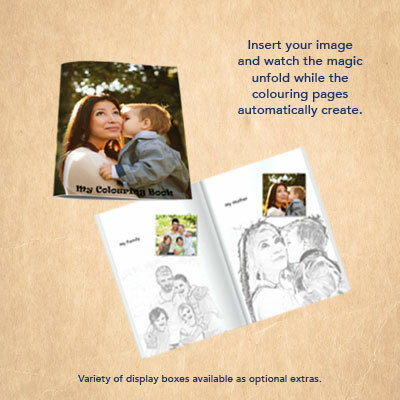 A softcover (saddle stitched) colouring photobook made from your very own photos. The cover is printed on 250gsm and Gloss UV varnished with inside pages printed on 90gsm Cartridge paper suitable for colouring in. Option to add pages in multiples of 4. Included: Free STAEDTLER Pencils or Jumbo Crayons.